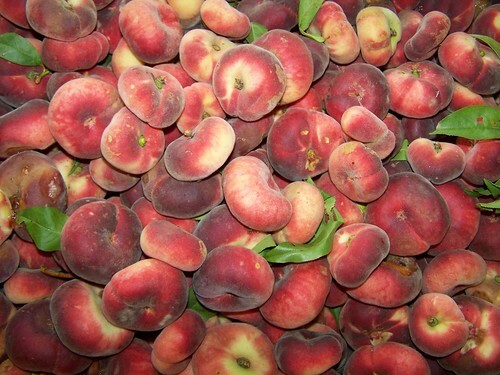 We were very blessed to have these peaches given to us.� They are called Saturn peaches or donut peaches.� These are very small and I was not really sure how to best use them. Temperatures here are hot.� We are getting a small shower here �this morning.� Much needed.� However the sun is already back so it probably will get hot fast.� We are headed into town for piano practice.� I also need a few spices for the beets.� Enjoy your day and God bless. 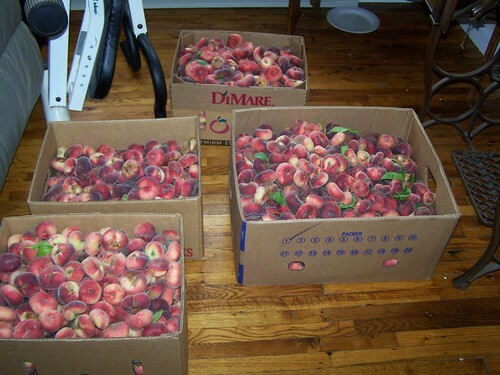 I never thought of making a peach sauce. I bet that tasted good. I won’t be hearing the piano this week as RaeAnne is up at camp. She is our piano player. Have a great day with your girls. What a wonderful blessing! Peach sauce sounds delicious! Hope you are enjoying a wonderful day that’s not too hot!